Hello all. I have a 07 Accord 2.4l manual. It has a little over 174k. I have owned this car since Nov 06 and it had 7 miles when I pulled it off the lot. 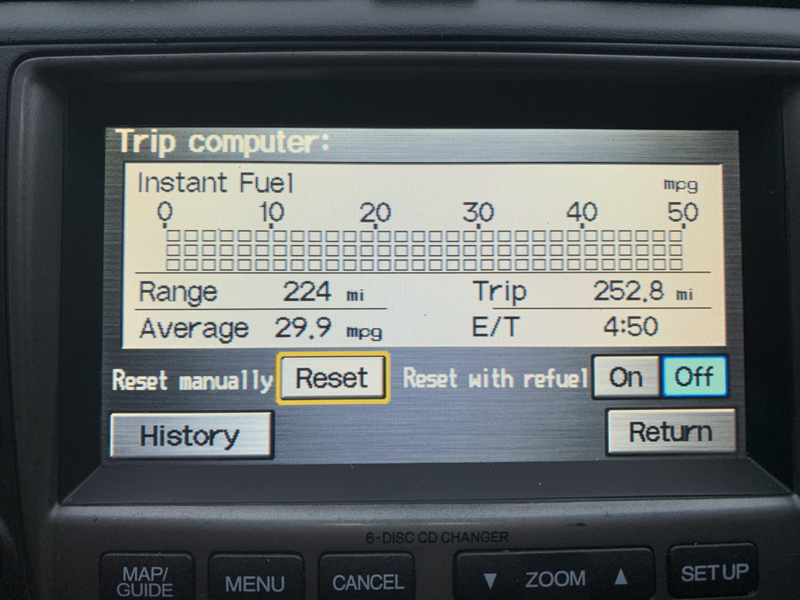 Recently I was doing some research and came across the estimated MPGs (23/31). I was saying to myself since I've owned the car I've never seen anything close to those numbers (I am a very spirited driver). 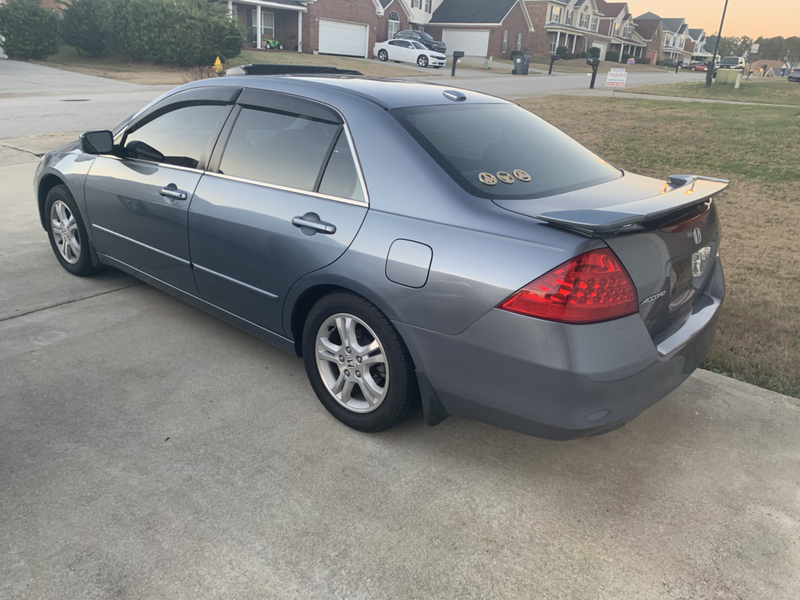 I had a trip to take this weekend on the GA country roads and wanted to see what my car could actually do. 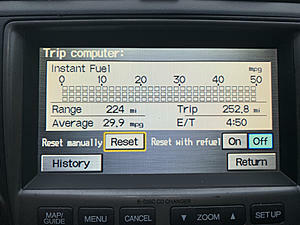 In total I drove 252.8 miles and averaged 29.9mpg. I never knew that my car was capable of such good mileage. I started thinking about what it takes for a car to stay in good condition to continue getting what you paid for. I have 4 cars/trucks and refuse to take my car into a dealership or an auto shop for anything other than tires or an alignment. I even hate taking my cars in for warranty issues. I am a true believer of preventative maintenance because I hate the thought of one of my cars breaking down on side of the road especially if the wife and kids are traveling without me. Full synthetic oil - every 8500k (have oil tested every other oil change and adjust mileage as needed. All fluids (brake, steering, clutch, transmission) are flushed/changed as needed. Brakes and rotors are replaced every 2 years. Alignment done every 18 months. Share mileage on second car. I will attach photos of the car presently. It is still in great condition and I get offers all the time. This is a car I will keep until it gives up. 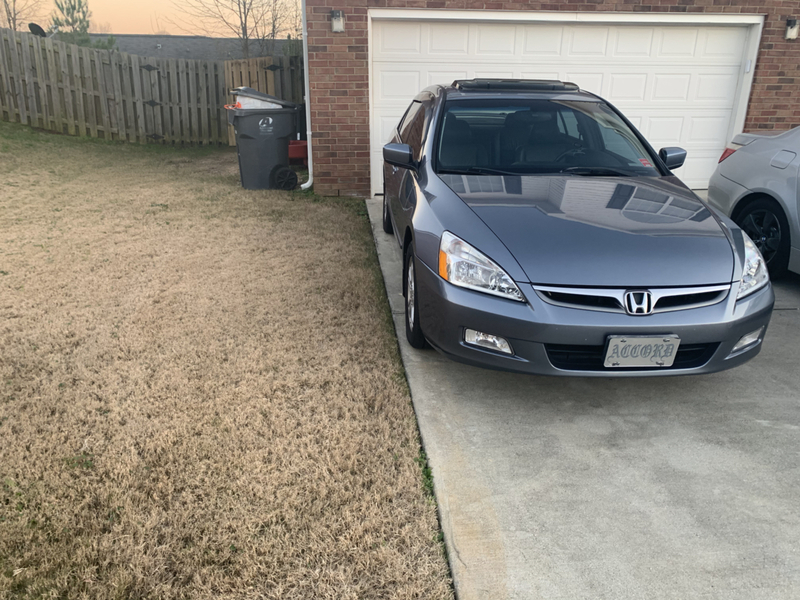 Lol This is my 3rd Accord (95, 01) and out of all of them I love this one the most. Last edited by Seanjordan20; 01-15-2019 at 04:40 PM. Kind of funny, you put a K&N air filter on your engine, arguably the worst air filter on the market; you might as well not have an air filter on your engine at all. Kind of funny, you put a K&N air filter on your engine, arguably the worst air filter on the market. It was a money decision not a performance decision. I figured if it was a car i was keeping for a while it made since to put something I could just reuse. I put them in all my cars. Up to this point I've had no issues. Technically I don't know if it's good or not. Like I said, you might as well not have an air filter on your engine at all; those filters don't filter worth a crap. If you care about keeping the air going into your engine clean, put an OEM style filter on it; spending a few bucks every 50,000 miles or so won't cost much in the grand scheme of things. Personally why do you feel they are worthless? Have you used the product before? What made you come to your conclusion (an article, testing, personal use that failed you). What do you think about there oil filters? I have an 05 BMW M5 that I purchased in Dec 04. It now has just over 250k with the K&N on it since the beginning and I have yet to have an issue. Still runs great. How long does it take to damage the engine from using the K&N filters and what are the effects (complete failure, MPGs lowering, premature part failures)? Anyone chime in. I'm curious to what people think on this topic. I am not a mechanic I've been in the IT field my whole life. I'm just someone that loves working on cars on the weekend to past time and clear my head for the upcoming week. I've never used a K&N filter myself, but you hear things, like they don't filter well. Or people use too much oil and it could foul up the intake air sensors. I just never wanted to have to clean, re-oil the air filter, when $20 for a new stock air filter once every two years doesn't seem like a big expense and a simple drop-in. I know the stock type filters work, and I don't worry about if they filter well or maybe I used too much, or too little oil. There are plenty of tests available on the net which show how low the efficiency is of K&N air filters; like I said, they are barely better than having no filter at all. As for affecting fuel economy, no filter, a K&N, a clean OEM style filter, or even a very dirty OEM style filter will not have any effect on fuel economy of a modern fuel injected car. Their oil filters do not appear to be better or worse than pretty much any other top end synthetic media filter out there, errr, except they seem pretty expensive. Efficiency is the reason of my purchase. I think what has been proven is the effectiveness of the application. I will do a little research to see if there are indeed any long term effects on using them. I do understand if I was living in the country with a lot of dirt roads it would be useless to have one but under normal city conditions I can't see why I would choose one over the other unless its a financial or preference decision. Thanks for the insight shipo. It's been a few years since I looked at the data, but if I recall correctly, while typical OEM style media hovers in the 98 to 99 percent efficiency range, K&N filters are down in the high 80 to low 90 percentile range. Said another way, your engine has ingested huge amounts of debris which would otherwise have been filtered out. A bit of trivia; through the late 1950s and even into the very early 1960s, cars came from the factory with K&N style filters; manufacturers switched to the pleated paper (and later synthetic) media filter because of the significantly higher efficiency of the latter. I've never used a K&N filter either. Like you said, for the cost, a paper unit every 2 years is no big deal. It looks like you're staying on top of the maintenance pretty good. Just following the owners manual should really be all you need, along with replacing what ever goes in the mean time. As for the timing chain, I also don't believe in life time either, but may swap out the tensioners, as those are known to go, more so than the chain is from stretching. My 99 Accord Sedan, and my wife's 00 Accord sedan have over 235K, and each seems to get similar maintenance, just at different times due to the miles added. Like the 99 got most of the front end rebuilt (needed hub bearings, so I did a bunch of other stuff while I was there), but the 00 hasn't yet. It'll get it soon enough, due to tire wear (probably ball joints and upper control arm bushings being the cause).